Obtaining online reviews for your business is a critical component of your online reputation. If you aren’t sure how to get reviews and what you should do, follow the below basic outline. These simple steps will allow you to create an online reputation and manage any negative feedback in the best possible way. The first step is to proactively collect reviews from satisfied clients. This can be done by physically asking the client on the phone or while in the office. Sending out an e-mail after the service has been completed to thank them and ask for a review is also effective. It is important to consistently gather reviews and build up a positive reputation. This way, if any negative feedback were to get posted, your company already has a large amount of positive reviews that drown out the very limited negative reviews. 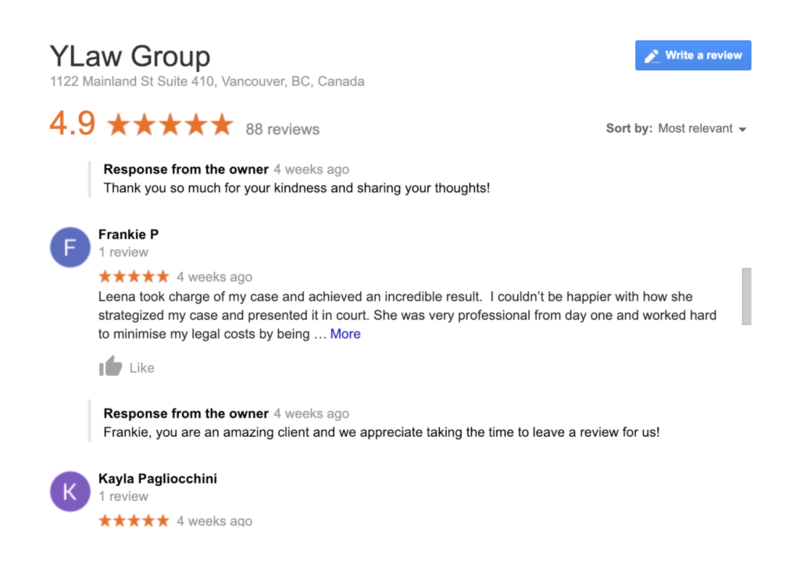 We recommend first getting reviews on your Google listing. This is seen by the majority of those searching for you in Google search. Once at least 10 are collected on this platform, you can work on other sites such as Facebook or Avvo. Having reviews on various places around the web will help provide an overall positive reputation, but it helps to focus in on one at a time in the beginning. If the platform allows, you should respond to every single review, both negative and positive. The negative should be responded to with empathy, providing a solution, or clarifying the issue and how it was resolved. It is very important to be super careful with phrasing as people can get a bad impression if a company is making excuses for poor service. Responses to negative reviews are important because it shows potential clients that the company cares about every issue and wants to have a pleasant customer experience. 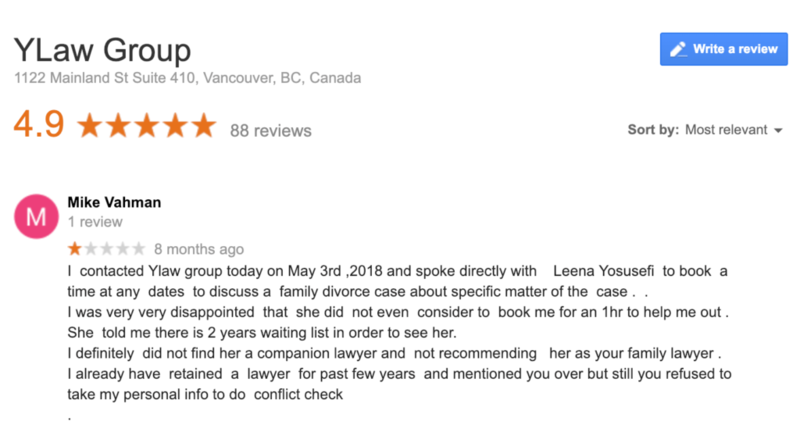 It can help a potential client determine the negative review may not be valid or was at least handled in the right way. If the review is positive, be sure to thank them for their feedback. Google listings allow these responses, but not all platforms will have an option to reply directly to the reviewer. If a review is indeed spam or possibly left for the wrong business, it is good practice to report it using whatever reporting option the platform provides. Google has a red flag you can click to submit a report, but other platforms may have different methods. It is important to note that almost every platform does not allow you to manually delete reviews. You can only notify them of a possible issue with a review and the specific platform will review their guidelines to see if it is breaking any rules that warrant removal. Just because a business disagrees with a review or does not have a record of them as a client is not enough grounds for removal. In these cases, the response is the best next step. Set up a Google review rich snippet if your Google listing has over 5 positive reviews. This will allow the 5 star snippet to appear in search results when your website appears. Create a testimonial page on your website. This will give potential clients an idea of what others say about your business on the web and you can even add testimonials clients have provided to you personally, but have not posted online. Awards and other types of recognition may be good to add on this page as well. Consider filming videos. If you have a client that is willing to be filmed and provide a testimonial by video, this is a good opportunity to showcase a happy client and add it on your YouTube channel and website. Share reviews on social media. Showcase positive experiences clients had by sharing them on your social media pages. You can either link to a video testimonial, include a quote from a client, or perhaps take a photo of a gift you may have received. 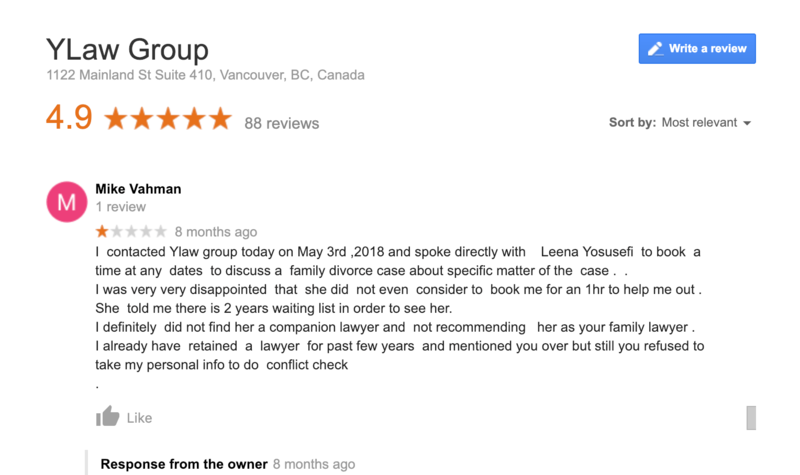 If you need additional help on collecting reviews and responding to them we recommend checking out our in-depth post How to Address a Negative Google Review [Effective 4 Step Process]. Fake reviews have been on the rise for quite some time, so it is important now more than ever to take action over your own online presence and obtain the true reviews of your clients. Let us know in the comments if you have any great strategies for managing your online reviews.